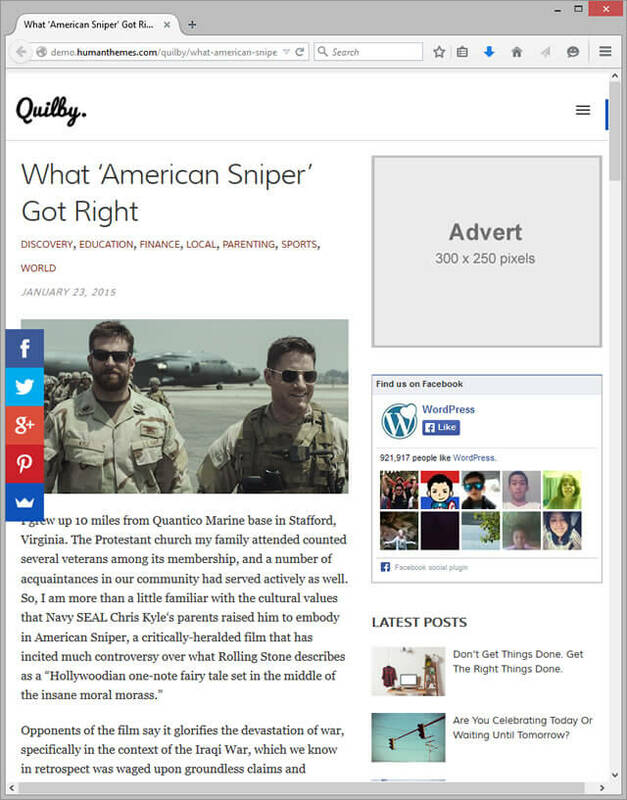 Quilby – Social media and viral theme. Lightning Fast: Experience a whole new level of speed and performance from your blog. Ultra Lightweight: A robust, ultra lightweight framework is the driving force behind Human Themes. Perfect SEO: Built with perfect on-site SEO structure, so it comes ready to crush the search engines right out of the box. Responsive CSS: Looks beautiful on mobile screens. Responsive across all desktop, tablet, and mobile devices. Easy to Setup: No need for 100 page long user guides. Our easy to set up Customizer makes setting up your site a breeze.